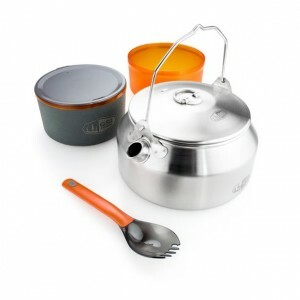 The perfect complete set wrapped up in a high-grade 18/8 stainless steel 1 liter kettle including a telescoping Foon and an Infinity insulated Mug with sip-it top to keep your tea and an insulated bowl with graduations to your soup hot and your fingers not. The Glacier Stainless Ketalist is made from a lightweight stainless steel, but not just any stainless alloy. It is made from an 18/8 food-grade alloy, also known as 304 grade stainless steel commonly used for food preparation and dining. This alloy is the obvious choice for rugged cookware that would stand the test of time due to its rust and corrosion resistance, light weight, and impressive ruggedness. When referring to the first number, 18, refers to the percentage of chromium present and the second, 8, represents the percentage of nickel. 304 grade stainless steel also consists of no more than 0.8% carbon and at least 50% iron. The chromium binds oxygen molecules to the surface of the material to protect the iron from oxidizing, and the nickel further enhances the corrosion resistance which is why it is such a great alloy for use in the outdoors, and for food preparation specifically. The solid one-piece construction and compact low-profile design make the Ketalist a rugged ultralight boiler capable of holding as much as one full liter of liquid. It is 3.5″ tall, 6.3″ in diameter and weighs only 9.1 ounces with the lid. It has an easy-to-pour spout coming out the side and a convenient folding wire handle that locks in the upright position when it is in use, and locks down securely when not in use. Its brackets are securely attached with spot welds to prevent leakage from rivet holes. The lid fits loosely so it is easy to lift from the hinged ‘D’ loop fixed to the top. There is also an air vent hole to one side for easy pouring. The Ketalist kit also comes with a 14 fluid ounce insulated bowl and a 14 fluid ounce insulated mug nested inside. The mug is easily large enough to nest a 110 gram fuel canister inside. The mug also has a snug fitting Sip-It top with a telescoping Foon utensil made of high temperature Nylon 66 and soft fabric pouch to protect the mug if you happen to store a small canister stove inside. 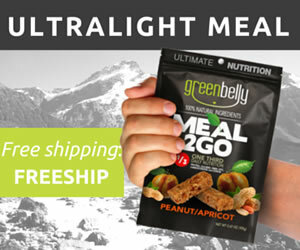 The bowl, mug and lid are made from a durable BPA-free plastic called Infinity that is 25% lighter than common polycarbonate resins. Infinity will not absorb food odors like other plastics and will not leach plasticizers or other chemicals. It is also dishwasher safe and becomes more stain-resistant with every wash. The black stuff sack has a solid nylon lower panel and short nylon mesh sides to keep any soot other nasty residues from getting all over your gear when it is packed away. The drawstring can be cinched with an orange plastic cord lock. To test the Glacier Stainless Ketalist, I performed a simple boil test with a full liter of water and then cleaned it up afterward to demonstrate its capability, durability and of course maintainability. First, I spread a very thin layer of dish soap to the outer surface of the kettle that would be contacting the flame to make it easier to clean after I was done with the test. 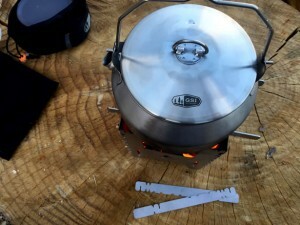 Next, I filled the kettle with one liter of clean water, then I started the fire in one of my 5″ wood-burning stoves. 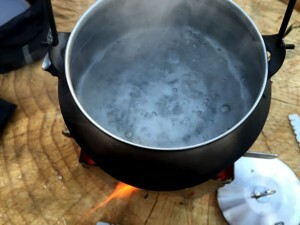 I waited until the fire was fully lit before adding the kettle with the lid in place. Surprisingly, the water in the kettle had reached a full rolling boil 6.5 short minutes later. Then I picked up the kettle by the wire handle to remove it from the stovetop so I could let it cool down. Thankfully, it was only warm to the touch and not too hot. Once the water was cool enough to stick my hand in it, I used it to clean the soot from the bottom of the kettle. With one of those Scrub Daddy scrub pads, the hot water in the kettle and the soapy residue on the outer surface, the kettle quickly came clean without much effort. GSI Outdoors’ Glacier Stainless Ketalist is a rugged packable stainless steel kettle built to last and designed to boil water fast, and it does just that. Really, it could be used to cook anything that will fit inside. The kettle is a little shy of a pound with the bowl, mug, lid and Foon nestled securely inside so it is easily stowable in most any backpack. At around $35, the stainless steel Ketalist is an exceptional value for what you get. As long as you keep it clean and full of water when it is on the heat, it will likely last you a lifetime. Two thumbs up GSI! 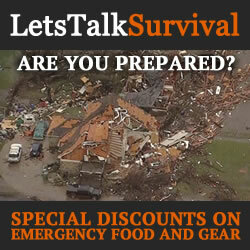 GSI Outdoors is a small, privately-held, family company. We have no obligation to an anonymous group of shareholders, a corporate board or anyone but our customers, our reps and each other. It is this freedom which so epitomizes the outdoors and grants us the flexibility to be more responsive to the needs of our customers who love the backcountry as much as we do.